Another attempt to get my legs used to pedalling a laden bike. Snow and ice prevented cycling in Holyrood Park, so I cycled to Musselburgh and back. I felt that I was still abominably slow. 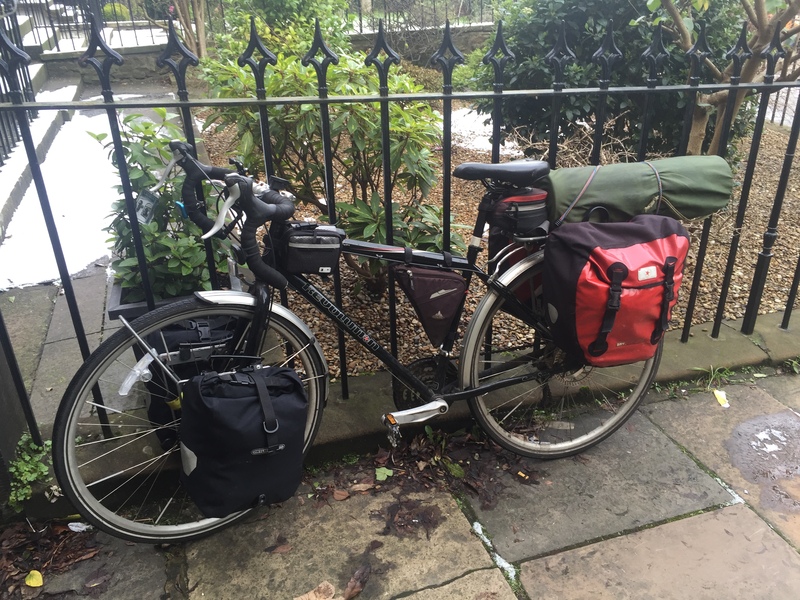 However, using Elly’s panniers, which do not protrude above the pannier rack, meant that my sleeping mat was better positioned and so Lev did not feel top-heavy and ready to fall over. Here’s the inevitable cyclemeter map. This entry was posted in cycling, Iron Curtain Trail, out and about by Bruce Ryan. Bookmark the permalink.